BEIJING, March 6 (Xinhua) -- Senior Chinese leaders on Wednesday urged for more efforts to advance high-quality development. 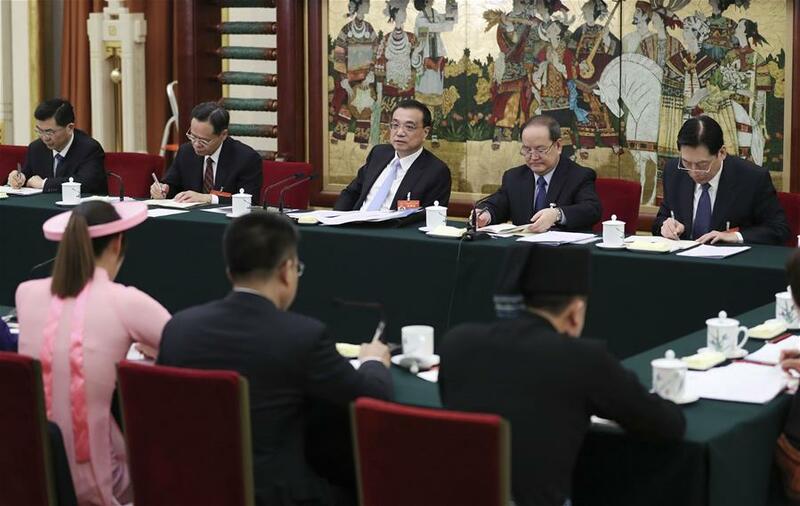 Li Keqiang, Wang Yang and Han Zheng -- members of the Standing Committee of the Political Bureau of the Communist Party of China Central Committee -- made the remarks at the annual "two sessions" of the country's top legislative and political advisory bodies. Joining panel discussions by deputies to the 13th National People's Congress (NPC) from southwest China's Guangxi Zhuang Autonomous Region, Premier Li Keqiang stressed following the guidance of Xi Jinping Thought on Socialism with Chinese Characteristics for a New Era as China's development faces more and graver risks and challenges in 2019. He called for efforts to keep the economic growth within an appropriate range and promote high-quality development, and urged solid implementation of the planned tax and fee cuts to reduce burden on the real economy. At the joint panel discussions of political advisors from economy and agriculture sectors, Wang Yang, chairman of the Chinese People's Political Consultative Conference National Committee, told them to focus on major and difficult tasks, such as high-quality development and supply-side structural reform, and to deepen their investigations and researches. Wang also urged the advisors to guide the people in correctly interpreting the changes in economy and boost their confidence in development. Vice Premier Han Zheng joined the panel discussions by lawmakers from Hong Kong. He expressed the support to Hong Kong's bid to build itself into an international innovation and technology hub, and encouraged the people of Hong Kong, especially the youth, to start up businesses and work in the Guangdong-Hong Kong-Macao Greater Bay Area. Han also joined panel discussions by lawmakers from Macao. He said that Macao will be supported in its efforts to expand new development space, and to develop its tourism and exhibition industries.